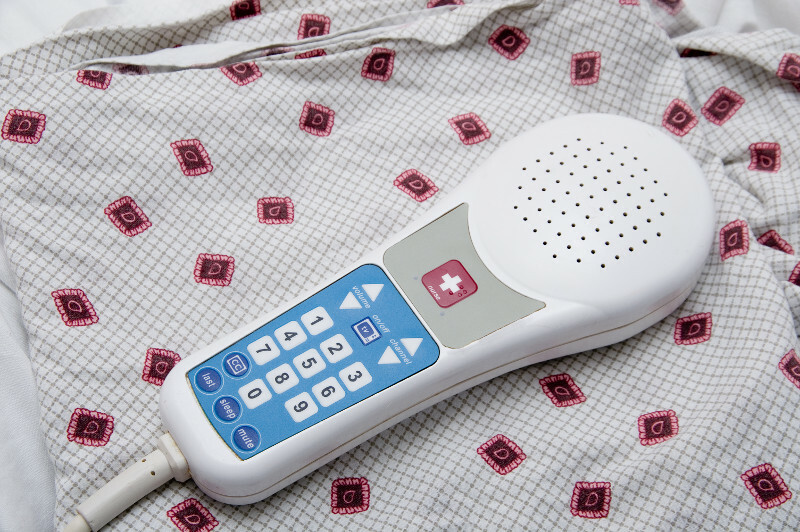 Our client manufactures hospital patient pendants used to control bed frame, nurse calling, and TV functions. The company was also growing after adapting a business model of being a repair depot for older designs for their own and the pendants of other manufacturers. As such, their products are very high mix and medium volume. The basic functions for all these pendant models are closely related, so the client wanted a means to build a single automated test system that could verify functionality for 1000s of models. And, since the products are medical devices, the testers needed to comply to 21 CFR Part 820 and Part 11. The testers were designed to support the common measurements needed to test the circuitry of the devices as well as the complex signals required to drive TVs and entertainment systems. A test sequence editor was created which allowed the client to create as many test sequences as needed to test each specific pendant model by creating a list from pre-defined basic measurement steps configured for each specific measurement. For example, each device had a power supply, the voltage of which needed to be tested. To test a specific model, a voltage measurement step was added to the model-specific sequence and configured with the upper and lower measurement limits for the power supply. The complete test sequence was created by adding and configuring other measurements test steps as needed. 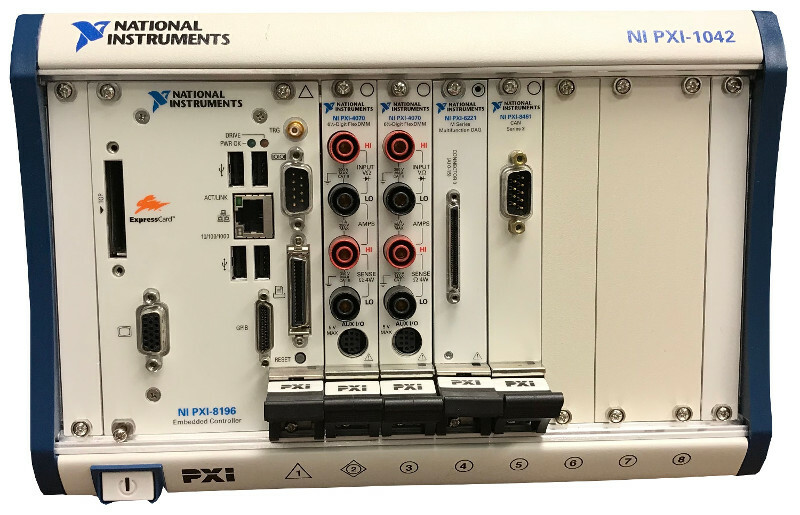 Each test step could also be configured with switch configurations to connect the measurement equipment, such as a DMM, to the proper pins on the device circuit board. Using this configuration process, the client was able to support the testing of well over 1000 models without any programming. A separate application was developed to create these test sequences which were saved as XML and fed to the test system for selection and execution. The test execution was managed by NI TestStand and the pre-defined common test steps were written in LabVIEW. The test sequences and test results were interfaced to the client SQL database which they used in their ERP system. This ERP system used the results produced by the test system to help manage the workflow of production, for example by assuring that all units had passed testing before being shipped. Part 11 compliance was handled through checksums used to check if results had been modified. Enabling our client to create test sequences without programming reduced overall development costs by about 50%. Modular and common software developed for the test systems reduced the V&V effort during IQ & OQ by allowing testing of the test execution application separate from the individual test sequences. The automated test system was able to execute each test sequence in three different modes: engineering, service, and production. Each mode has been specifically designed for various departments throughout the manufacturing floor. Typically, the manufacturing engineer would verify the sequence by executing it in engineering mode. Once the test sequence parameters pass, it was then approved for production testing. During actual product testing, an approved and digitally-signed test sequence is loaded and executed via the test sequencer, designed for automated production. During execution, test results are displayed to the operator and simultaneously pushed to a database. The automated test system produces a record for each tested device, indicating the disposition of each test step and the overall performance of the device. All result data are digitally signed and protected from tampering. The architecture of the test system follows a typical client – server model. All client stations communicate with a central ERP and SQL server and each computer is secured by applying operating system security. The SQL server contains all of the test definitions, device history records and results. Information from it can be queried at any time by quality engineers throughout the organization, assuming they have proper login access. This provides real time status about products ready for shipment. Also, other than the software running on the client stations, no other user has permission to write or modify any information in this database. The client is able to keep the server in a protected area separating it from the manufacturing environment while the client test stations are placed throughout the manufacturing area. Surprisingly, there were only twelve test steps needed to uniquely configure and be combined to create sequences to test well over 2000 unique models. Test steps are capable of measuring basic resistance, current and voltage parameters as well as perform sound quality measurements and high speed digital waveform analysis. Several tests were designed to be subjective while others are fully automated and test to a specified acceptable tolerance. During configuration, each test step requires the manufacturing engineer to enter expected values and tolerance limits to define pass – fail status. Upon testing, the devices are attached to a generic interface connection box and the test system makes the appropriate connections and measurements. Low-level measurement drivers to interface to a DMM, signal generator, switches, and data acquisition cards.